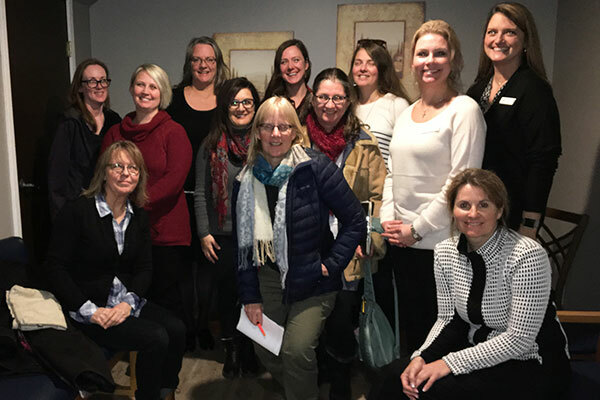 Eleven industry professionals had their burning questions around HR and health and safety answered by go2HR at a recent tourism and hospitality roundtable held in Cranbrook. On Feb. 15, go2HR’s Ginger Brunner, Regional HR Specialist, and Stephanie Mallalieu, Industry Health & Safety Specialist, facilitated a roundtable for employers representing various tourism sectors from all over the Kootenay Rockies region, including Fernie, Fairmont Hot Springs, Kimberley, Panorama, and Radium Hot Springs. Attendees asked HR/OHS questions specific to their businesses, networked with other business owners/managers in the region, and engaged in an open-forum discussion focusing on topics of interest to the entire group (eg. WorkSafeBC Certificate of Recognition Program, international recruitment, Joint H&S Committees, cannabis in the workplace, etc.). They also learned about valuable resources and services that go2HR offers, such as an industry-exclusive job board, direct access to HR/OHS specialists for advice, training options, and more. The roundtable was tailored to what participants wanted to learn about, and attendees were extremely satisfied; 75% of respondents to the post-event survey said they would recommend this event to a colleague. If you are interested in attending future roundtables or would like to learn more about go2HR’s programs and services, please contact Ginger Brunner at 778-721-5523.